Is this Tampa VW Dealership the #1 Place to Get a 2018 Volkswagen Tiguan? The beginning of the year is a time for looking forward and preparing for the months to come, and nothing gets you ready for a successful year like getting behind the wheel of a new vehicle offering the utmost in versatile utility. To that end, meet the 2018 Volkswagen Tiguan, for sale now at our Tampa VW dealer. 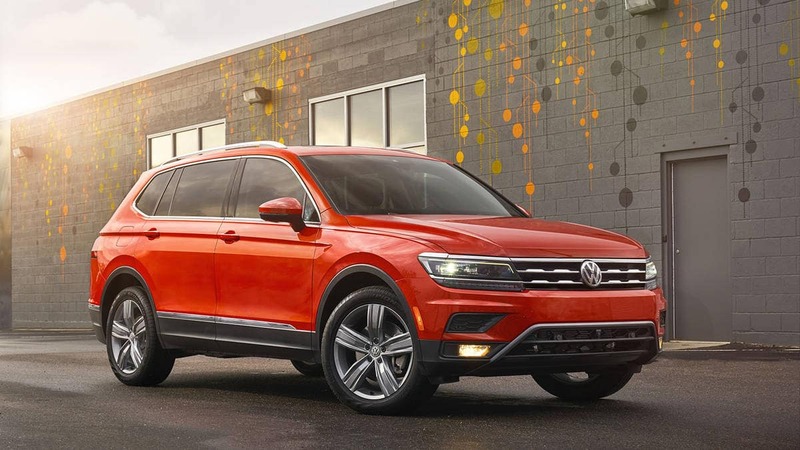 Reviewers and drivers alike love the new Tiguan, and people are flocking to Reeves Volkswagen of Tampa to take it for a test spin. Why the Tiguan, and why Reeves? Let’s take a look. The new 2018 Volkswagen Tiguan has getting rave reviews thanks to its rommy, comfortable, family-friendly layout, its attractive style, its smooth ride, its massive cargo space, and the fact that it comes equipped with standard tech features like Apple CarPlay. Reviewers have also hailed its expanded 6-year/72,000-mile warranty, which can be transferred to subsequent owners. Not only does that mean that Tiguan drivers enjoy better coverage, but that their vehicle will hold more value as the years and miles go by. What makes Reeves Volkswagen the best among Tampa VW dealers? At Reeves Volkswagen, you’ll enjoy the most expansive selection of Volkswagen vehicles offered by any Tampa VW dealer, and that includes the 2018 Tiguan. We’re a member of the Reeves family of auto dealers, which has been in operation for nearly 50 years. That means we draw from nearly half a century of dealership know-how and VW expertise. Our service center is renowned for its expansive capacity, which means that we’re capable of servicing more vehicles at once. That translates into faster service, so you can get back on the road without delay. Nothing starts your year off better than getting a new vehicle, except maybe getting one for a great deal. At Reeves Volkswagen of Tampa, we offer the best VW specials around on everything from new and used cars, to parts and service, to accessories and apparel. Ready to experience the all-new 2018 Volkswagen Tiguan for yourself? Visit Reeves Volkswagen of Tampa today, and find out why reviewers are hailing it as the best release of the Tiguan yet. 0 comment(s) so far on Is this Tampa VW Dealership the #1 Place to Get a 2018 Volkswagen Tiguan?